This entry was posted on November 2018 by Adam Sweet. Click on any thumbnail below to launch the image viewer. Drs. 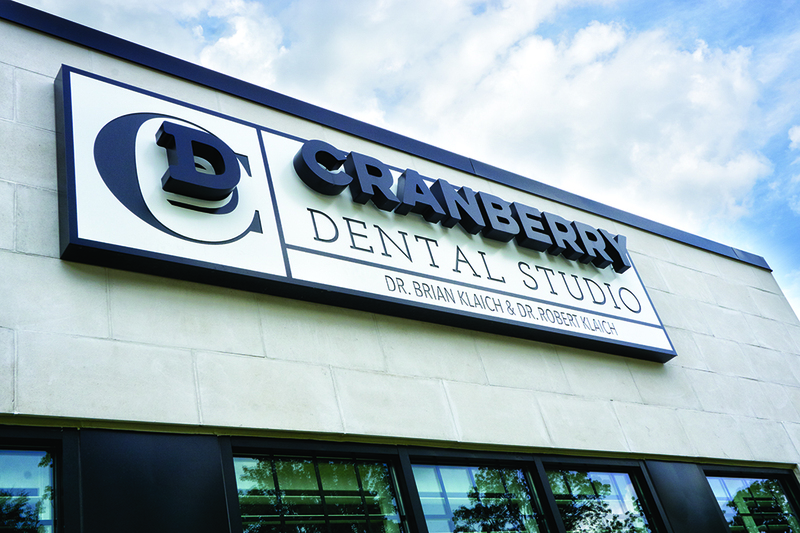 Robert and Brian Klaich of Cranberry Dental Studio, in Cranberry Township, Pennsylvania. The pair purchased an existing practice in 2005, and they immediately began to add services. They are committed to excellence in dentistry, and as they cared for patients, that reputation grew along with the practice. Their patient load exploded as a result; however, the practice space did not. 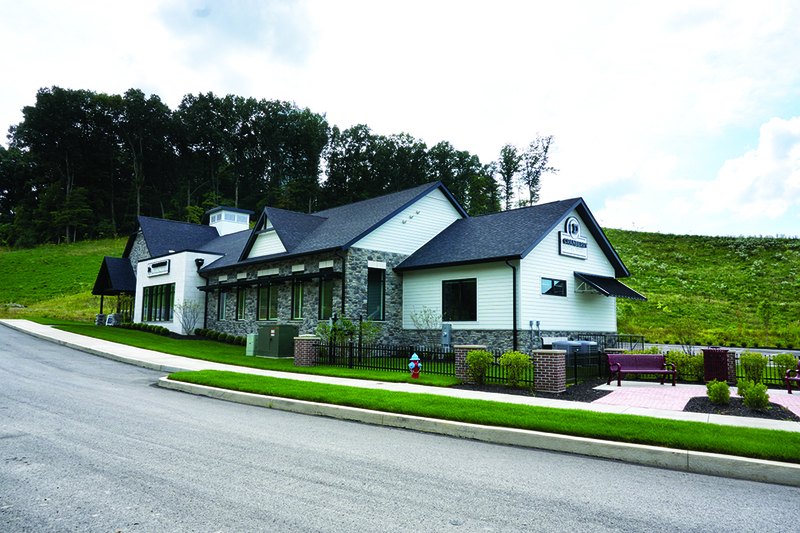 It was very tight at just 2,500 square feet with seven operatories. The rugged fieldstone fireplace that goes from floor to ceiling, is surrounded by homey yet refined furniture, providing a welcoming and cozy waiting area. The pair located a vacant site in a vibrant, trendy area near restaurants, new condos, and a major global corporate headquarters. They began conversations with representatives of Henry Schein, with whom they had worked for 10 years. 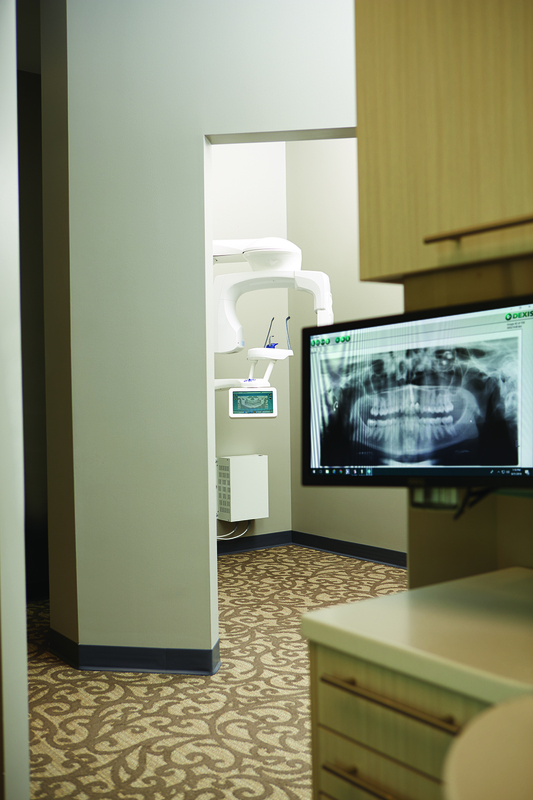 Equipment Sales Specialist Jerry Shoup brought the doctors together with Renee Susami of Henry Schein’s Integrated Design Studio to develop a floor plan for the office. Where the Reception area relies on deep, rich colors and textures, the clinical space is light and soft, with neutral colors, plush carpeting, and bright sunlight shining in from many windows. The result is a spacious, 5,500-square-foot stand-alone office that exudes upscale warmth and comfort from the exterior through to the clinical areas. The waiting room is immense, and truly feels like a plush, residential sitting room instead of the entrance to a dental office. 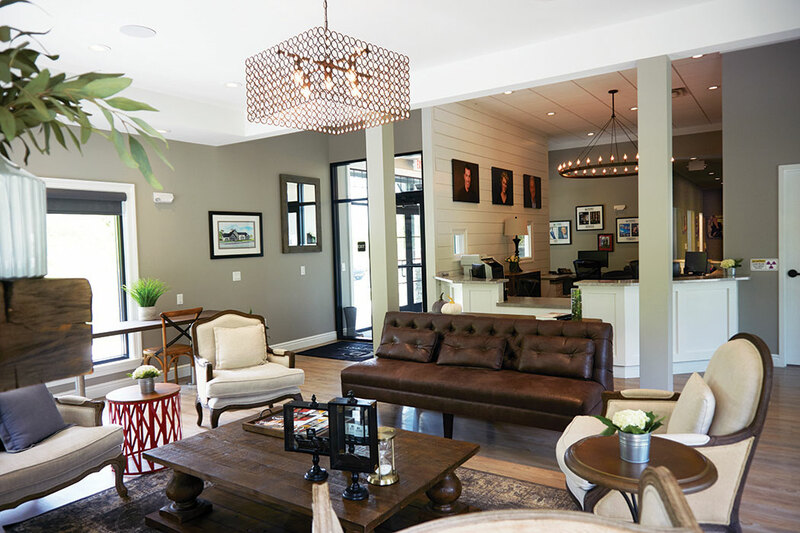 Patients enter to find a room that features casual shiplap wall covering and a massive stone fireplace. Floor-to-ceiling windows flank the fireplace, and luxury Karndean vinyl flooring looks like wood planks, but promises greater durability. Circling around the hearth is a seating arrangement of high-back upholstered armchairs, a sleek leather sofa, and an oversized coffee table that appears to be repurposed, with a worn and rutted patina. Above the fireplace, crystal lighting adds an opulent touch to the rustic aesthetic. 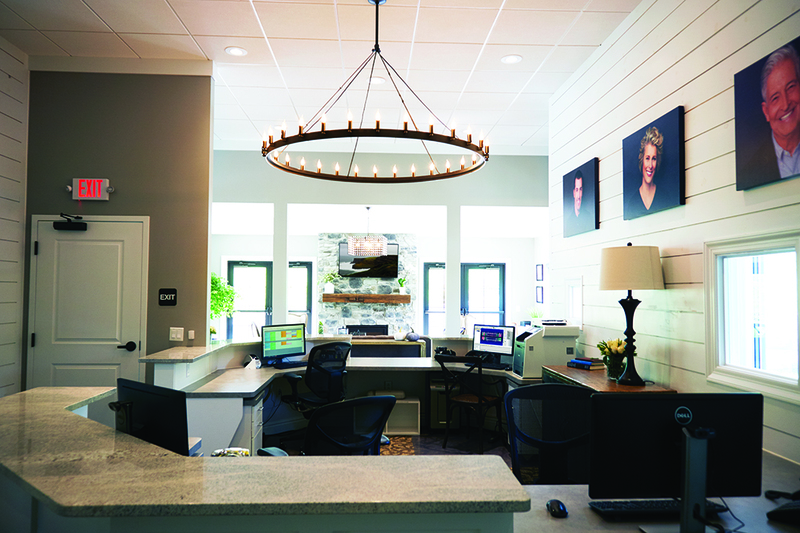 When customers turn away from the big-screen TV that sits above the fireplace, they see a spacious check-in desk topped with quartz countertops that leads them into the treatment rooms. Bold patterned carpeting with inviting swirls leads patients down one of two hallways to the 12 operatories that run along the outer walls. 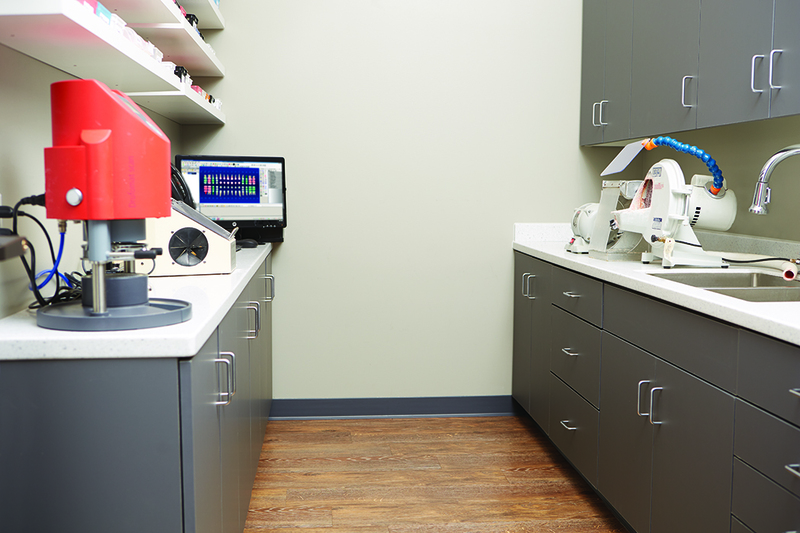 In the center, the sterilization center and imaging alcove are nearby for maximum efficiency from any room. In the back are private offices and a massive employee lounge with a 75” television. Premium flooring that replicates wood planks is classy and sets off the flowing lines of the Midmark chairs, with heat and massage functions, and the whitewashed cabinetry. When equipping the operatories, the doctors drew on their experience with features they had already used and were satisfied with. They had invested in Midmark chairs with heat and massage features years earlier, and were actually one of the first practices to install them, noted Mr. Shoup. They enjoyed providing those amenities to patients and selected the company’s Elevance chairs again, with their luxuriously soft leather. 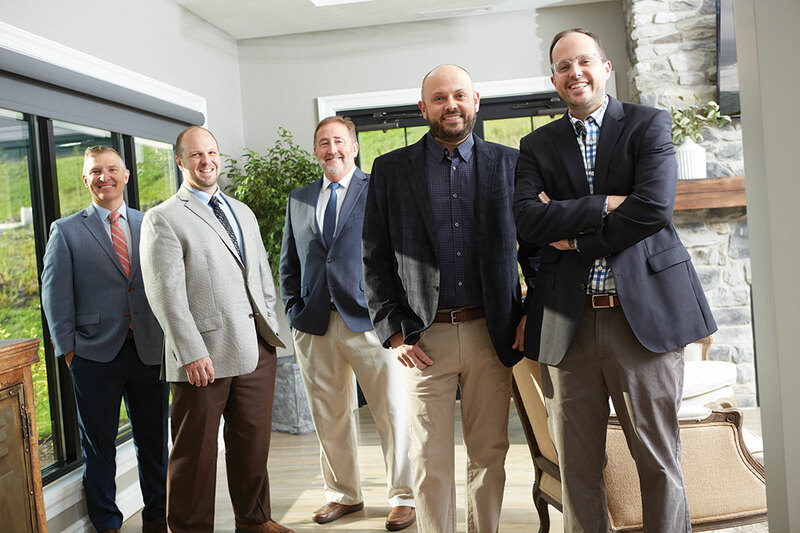 The doctors traveled to the Midmark facility on a VIP tour with Mr. Shoup to view configurations and options, settling on the Artizan line of cabinetry, which was customizable and created the visual impact they wanted. 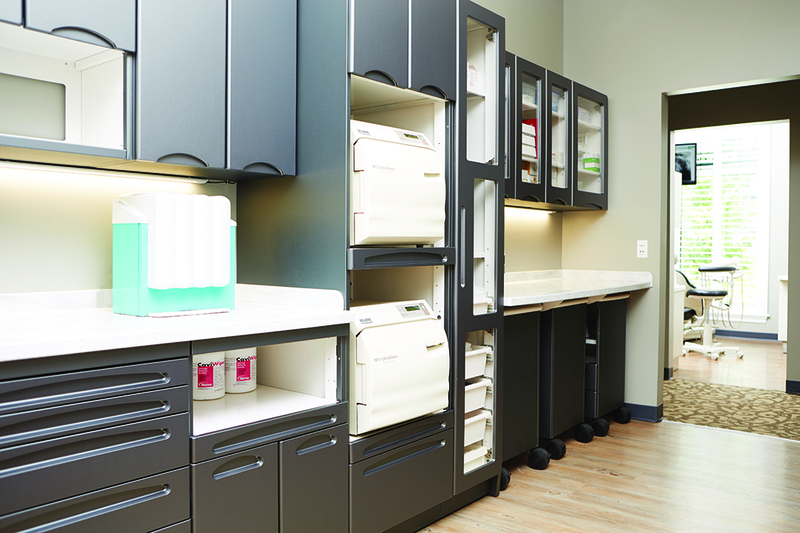 The Integra cabinetry line was chosen for the sterilization center, and custom-designed at the Midmark facility during the visit, using the company’s 3D design software. The pair literally watched the rendering of their dream layout before they returned home, noted Mr. Shoup. 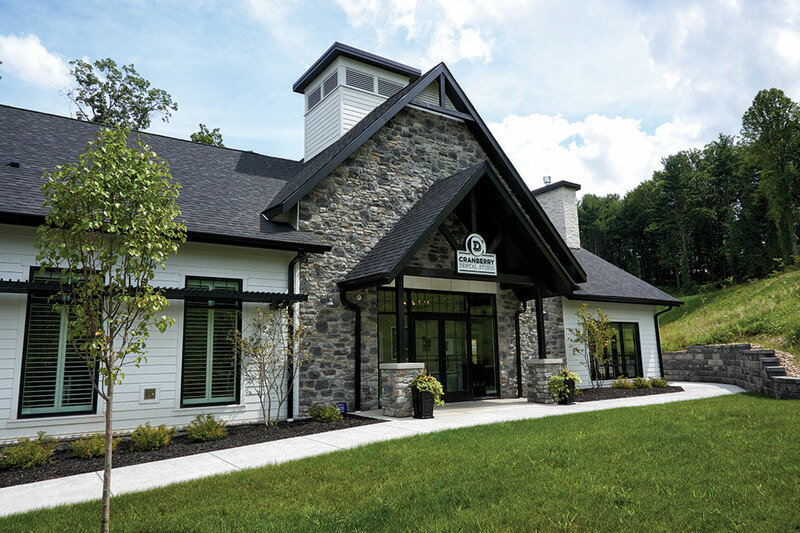 “Exactly one year after that visit, we were moving them into their new office,” continued Mr. Shoup, who coordinated the parties involved in the construction process. The doctors were grateful that all of the players came together easily so they could remain productive, seeing patients while the project was completed. A separate imaging alcove holds the Planmeca ProMax cone beam unit, a game changer for the doctors that has elevated their diagnostic accuracy. “The doctors felt relieved, I think, that they could continue practicing while we worked with the contractors,” confirmed Mr. Shoup. “They didn’t have to take off early to meet about plumbing or to make sure things were in the right place because we worked very well as a team.” Mr. Shoup pointed to the time savings achieved by the Integrated Design Studio, which provided preliminary layouts, mechanical prints, and measurements for specifications, like utilities. With the layout and design work underway, Mr. Shoup made recommendations to the doctors regarding technology and equipment. Always learning and expanding their capabilities, the doctors wanted technology that would support their advanced level of care. 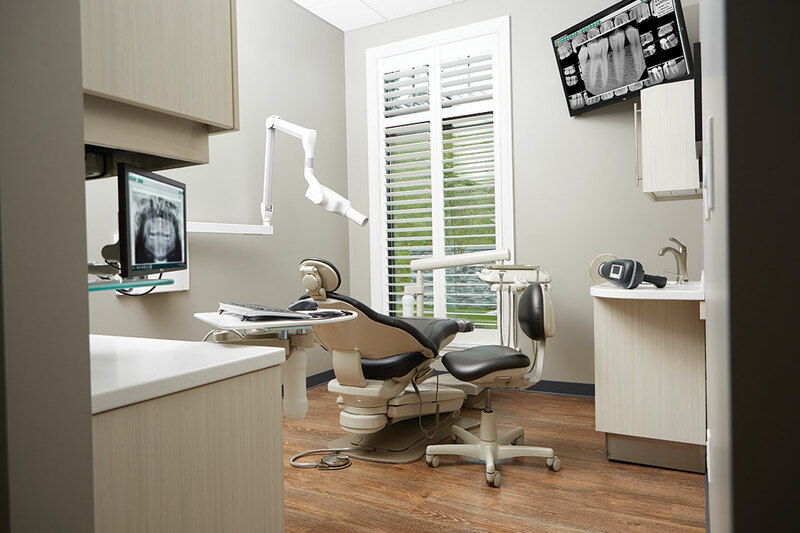 They also wanted the office to be paperless, so they purchased and began using Dentrix practice management software while in their existing office to work through the learning curve ahead of time. 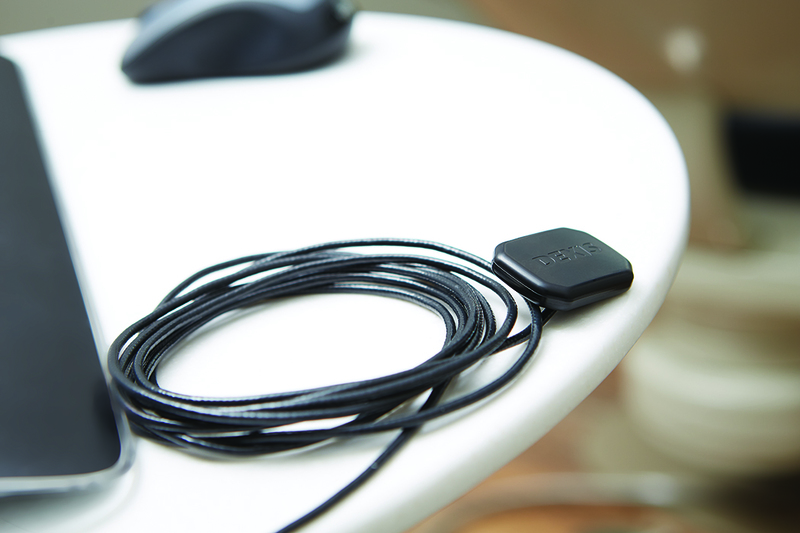 At the same time, they purchased DEXIS sensors and began using them as well. 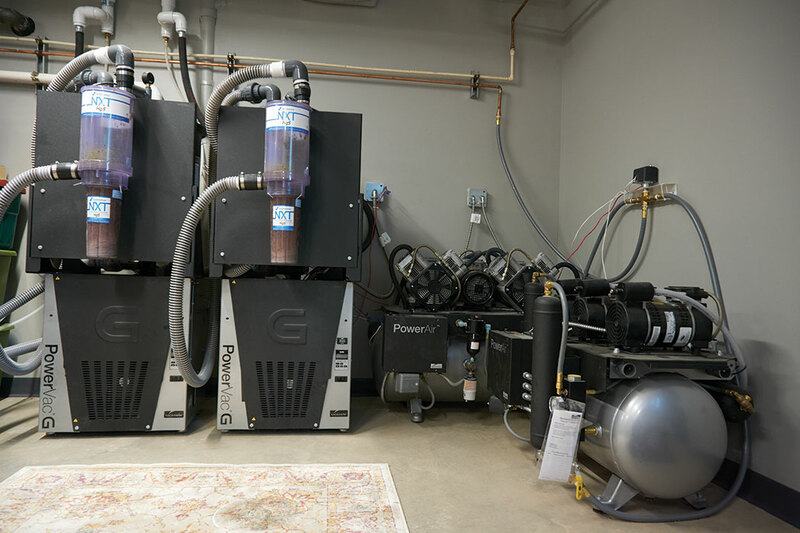 Powered up for heavy patient volume, the mechanical room is fit with dual Midmark PowerVac G dry vacuums that cycle on and off as volume requires and also save water usage and energy expenses. 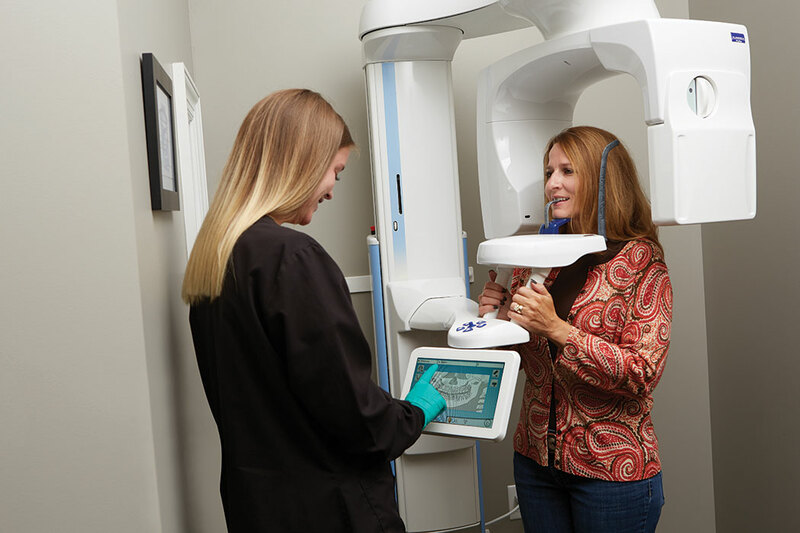 To round out their digital imaging package, they purchased Belmont wall X-ray units, a NOMAD Pro 2 intraoral imaging unit (that travels throughout the treatment rooms), and a Planmeca ProMax Mid cone beam imaging unit that sits in the imaging alcove. “The cone beam has sharpened our diagnostic ability far beyond expectations,” said Dr. Robert. Getting all the technology interconnected was delegated to Henry Schein TechCentral, which designed and implemented the information-technology infrastructure, including setting up the network, supplying the computer workstations and phones, and ensuring that each piece of equipment communicated perfectly with the others. 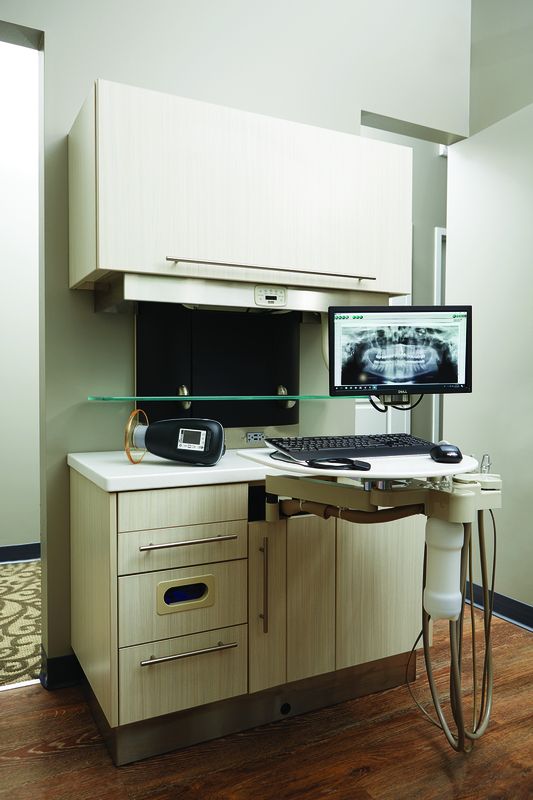 Some of the computer equipment and software, as well as the cone beam unit, was financed through Henry Schein Financial Services. Room turnover is quick with a robust sterilization center that was custom-designed by the doctors at Midmark during their VIP tour. Two Midmark M11 autoclaves work in tandem to keep up with the dirty-to-clean workflow. “We were pleased with their quick turnaround in paperwork and ability to finance equipment at a competitive rate,” said Dr. Brian. 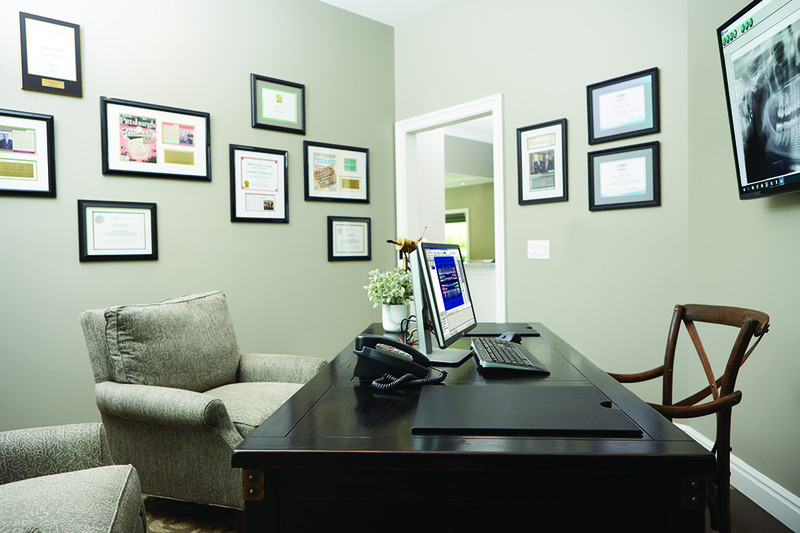 The decision to build a new office required a significant investment from the doctors, but in every case, they chose technology and equipment that puts patient safety and comfort first, which has paid off. “People who have been patients of record for years have suddenly decided to encourage family members and friends to come to our office, more than ever before,” explained Dr. Brian. Indeed, they’ve doubled the number of new patients they welcome into the practice, and production has spiked as well. 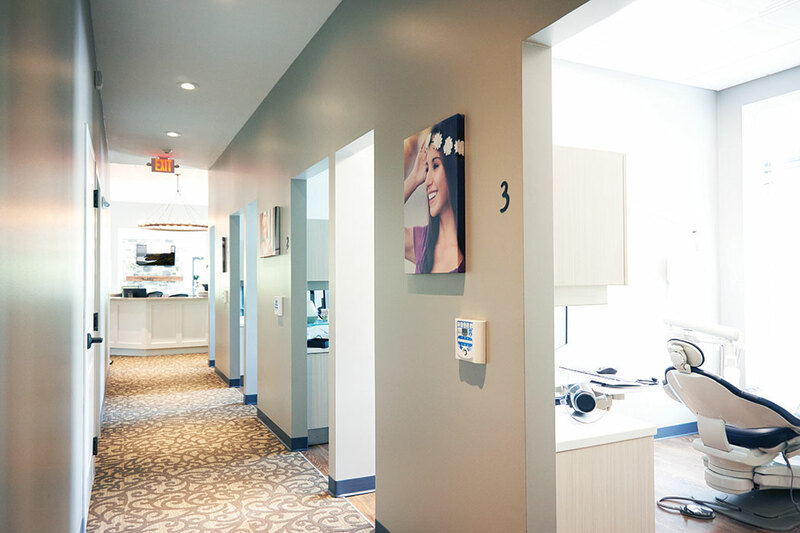 They attribute the growth to the ambiance of the office, which makes patients feel that they’ve chosen wisely when they come to Cranberry Dental Studio. From Left to Right: Jon Hilliard, Field Sales Consultant; Brian Pittman, Digital Technology Specialist; Jerry Shoup, Equipment Sales Specialist;Dr. Brian Klaich; Dr. Robert Klaich. Not pictured: Mark Sirney, Regional Manager.